Cottesloe Beach of Perth Western Australia is one of the states most iconic beaches and is a local hot spot during the summer months. This Cottesloe Beach photograph captures the Indiana Tea House behind the beach huts under what was one of the most amazing sunsets I have ever seen! Sitting on top of the cliffs watching this unfold was amazing and thank god I had my camera with me! 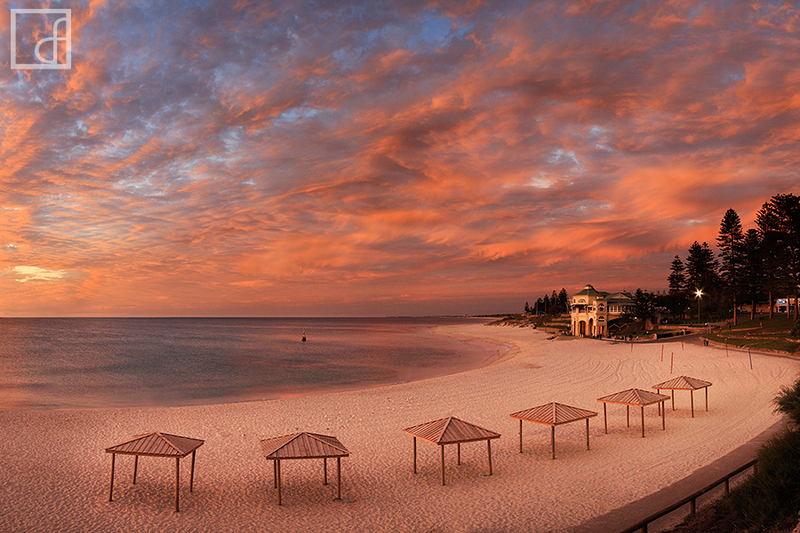 This is by far my favourite Cottesloe Beach photograph and a light show that I will always cherish! Secure your limited edition, Cottesloe Beach print, 'Last Light', by selecting your desired print size in the menu to the right.